Hindi is one of the most widely spoken languages in the world. It is most common among Indians and overseas Indians too. Now, thanks to Bollywood, it is even more widely recognized and taken an interest in by west merely because they want to understand the Bollywood culture. Apart from that, it is similar to the language of Urdu just written differently. The language is derived from earlier Sanskrit. Statistics show that over 258 million people speak Hindi as a first language while 120 million people use it as their second language. Learning the Hindi language has quite some benefits professionally and culturally. It helps individuals understand another culture and have more job opportunities. They will be able to connect with millions of people and not face any language barriers. Speaking the same language yet being from different geographical locations creates a special bond. Hindi is also one of those languages that have been mentioned throughout world history and have left its impact along the way. As more Indians migrate to different parts of the world, the exposure of the language increases and attracts more attention. 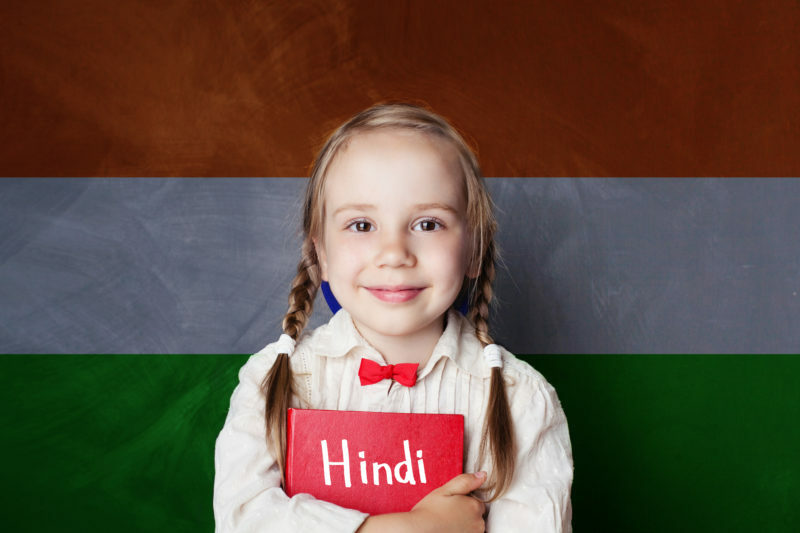 In order to master the language from an early age, it is necessary for the teachers to know the techniques on how to learn Hindi for class 1. In order to teach Hindi to your kids or students, you have to first make them want to learn. Instilling a special kind of desire in their bodies that push them and motivates them to take interest and want to learn more is the only way you can get the job done. Students or children cannot be forced or pushed to learn that never does any good. You have to make sure they enjoy the learning process so that they actually remember what they have learned. Here we have listed down some ways to bring about this motivation. Firstly, instead of using a dry dictating routine for teaching, you could try listening activities. Play some visual, auditory notes that pronounce the words you are trying to teach them so that they know how to pronounce it and remember hearing it in a video or on a speaker, which is something different. So, it will make them remember it. You could even show them a few Hindi cartoons after they have learned the basics, which will push them to translate what the cartoons are saying and motivate them to remember as hard as they can. Another technique could be using catchy rhymes that would get stuck in their head. All of this will maximize their potential to learn Hindi. Moreover, it would be fun as well. Children cannot start reading a book very quickly. It is a slow learning process. Investing in good language learning books can be very helpful. Kids can pick up words and stay engaged too. The more a child listens, the more he can grasp words. Repetition is the key here. Read aloud and explain as you speak that help’s a child get a better understanding of the subject. Here is another idea, Use action words such as jump, and run, etc. With each word ask the kids to carry out the physical activity. It will help them memorize better and let them have some fun at the same time. This may seem ridiculous or just hectic but believe me, it is the best way when it comes to kids. Keeping them active during learning sessions is the best way to jog their memory and help the brain associate the words with the actions. So, here is how you can carry this effective routine out. First, decide on a few action words for the day. Choose at least 5-6 words. Also, make sure that these words carry out fun activities and actions. You could make them jump up and down or sing. Kids love playing around, and once you incorporate that into their learning time, they will utilize it to their fullest. Not everything has to be serious and formal. Learning a new language should be fun and easy. Repeat the process for difficult words and help them develop an association, so they understand the context of the word and can easily relate to it subconsciously. Build a point system; sometimes competition is good for the kids. It helps them thrive and encourages them to do better. By having a point system, you could place rewards on a certain number of points. That would make the kids believe that there is something in it for them, which will push them to win. Any kind of reward would be a motivational factor for the kids, and it would make them believe that they have achieved something. Every child will feel motivated by the point system and that in a way enhances the learning process. Try to encourage the children to converse with other children. Hold practice sessions and even encourage it in households, so, they get a better grip on the language. If you are fluent in the language try to talk as much as possible in Hindi, so the kids pick up after you. In order to get your child to talk more fluently, try asking questions every now and then. That will prompt the student to give you a response, which would, in turn, polish their speaking skills. Encourage them to answer you in Hindi and try to work along with a conversation even if they answer incorrectly. They might be wrong at first, but after a while, they will catch on and structure their sentences. Here is what you should not do in the learning process. Do not ever push the kids to remember words. Don’t push them to memorize words simply, it will make them frustrated, and they will refuse to learn any further. It is essential to make sure that the learning process is joyful instead of dull and boring. Use the techniques given above and see how well the kids respond to it. The results can be seen within days. So these were a few promising ways on how to learn Hindi for class 1. The techniques given above are well researched upon for beginner students and have promising results. How to Learn Hindi for Competitive Exams?